The WNL03P is a 24" wide cooktop with a scratch resistant porcelain surface in white. 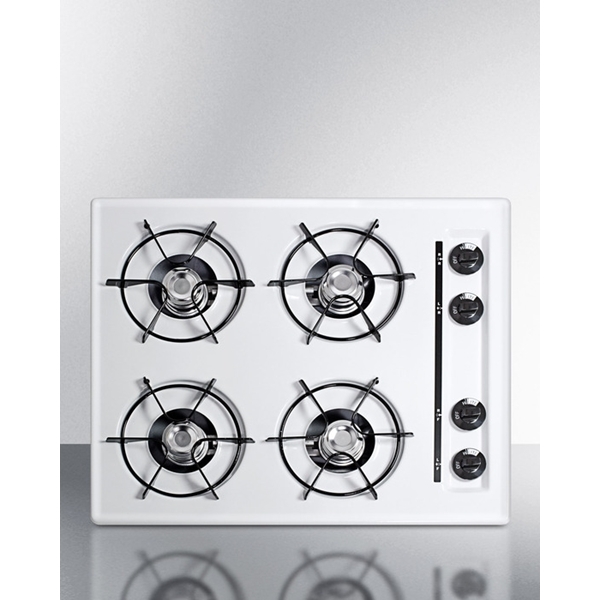 Four 9000 BTU open burners run on battery start ignition and natural gas and in include durable porcelain enabled steel grates. A recessed top helps to contain spills.